Debussy’s richly evocative ‘Estampes’ takes us through exotic gamelan-like sonorities from East Asia and the strumming guitars of Spain, to end amid the bracing excitement of a violent rainstorm in Normandy. 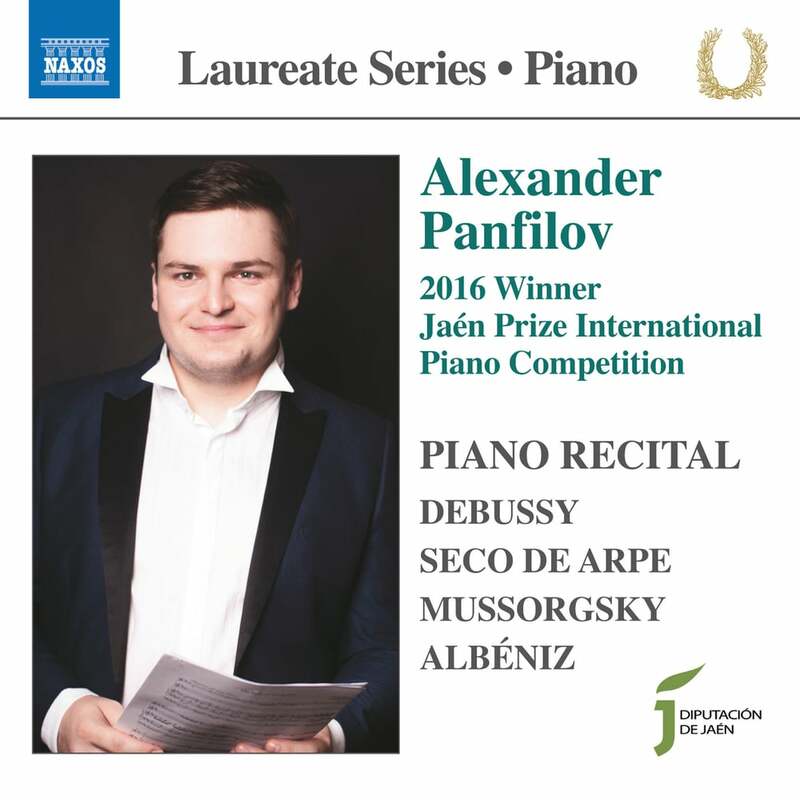 Alexander Panfilov was a laureate at the Premio Jaen competition in 2016, at which Manuel Seco de Arpe’s elegantly constructed and complex ‘Anamorfosis’ was the mandatory work. He concludes this recital with Mussorgsky’s supremely descriptive ‘Pictures at an Exhibition,’ one of the great works of the Russian piano tradition. Alexander Panfilov was born in Moscow and gave his debut recital for the Moscow Philharmonic Society in 2010, and in the US at the Weill Recital Hall, Carnegie Hall in New York. Since then, he has performed extensively around the world, in venues including the Musikverein in Vienna, the Zurich Tonhalle, Wigmore Hall, and others. As a soloist he has performed with orchestras all over Europe.